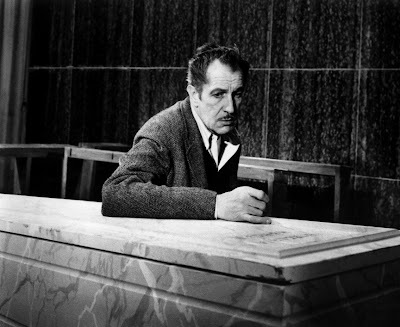 That's right, this month the infamous Vincent Price is my icon of the month. Price was born May 27, 1911 in St. Louis, Missouri, the son of Marguerite Cobb and Vincent Leonard Price, Sr., who was the president of the National Candy Company. His grandfather, Vincent Clarence Price, invented "Dr. Price's Baking Powder," the first cream of tartar baking powder, and secured the family's fortune. Price attended St. Louis Country Day School. He was further educated at Yale in art history and fine art. He was a member of the Courtauld Institute, London. 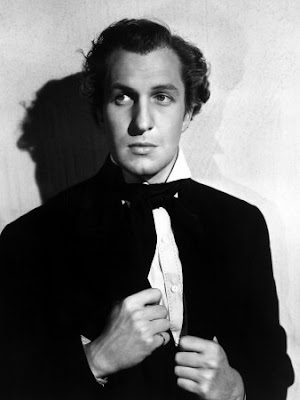 He became interested in the theatre during the 1930s, appearing professionally on stage for the first time in 1935. In 1936, Price appeared as Prince Albert in the American production of Laurence Housman's play "Victoria Regina," starring Helen Hayes in the title role of Queen Victoria. Playbill Facsimile. He made his film debut in 1938 with "Service de Luxe" and established himself in the film "Laura" (1944), opposite Gene Tierney, directed by Otto Preminger. He also played Joseph Smith, Jr. in the movie "Brigham Young" (1940) and William Gibbs McAdoo in "Wilson" (1944) as well as a pretentious priest in "The Keys of the Kingdom" (1944). Price's first venture into the horror genre was in the 1939 Boris Karloff film "Tower of London". The following year he portrayed the title character in the film "The Invisible Man Returns" (a role he reprised in a vocal cameo at the end of the 1948 horror-comedy spoof "Abbott and Costello Meet Frankenstein"). In 1946 Price reunited with Tierney in two notable films, Dragonwyck and "Leave Her to Heaven". There were also many villainous roles in film noir thrillers like "The Web" (1947), "The Long Night" (1947), "Rogues' Regiment" (1948), and "The Bribe" (1949) with Robert Taylor, Ava Gardner, and Charles Laughton. His first starring role was as conman James Addison Reavis in the 1950 biopic "The Baron of Arizona". He also did a comedic turn as the tycoon Burnbridge Waters, co-starring with Ronald Colman in "Champagne for Caesar". He was active in radio, portraying the Robin Hood-inspired crime-fighter Simon Templar in "The Saint" that ran from 1943 to 1951. 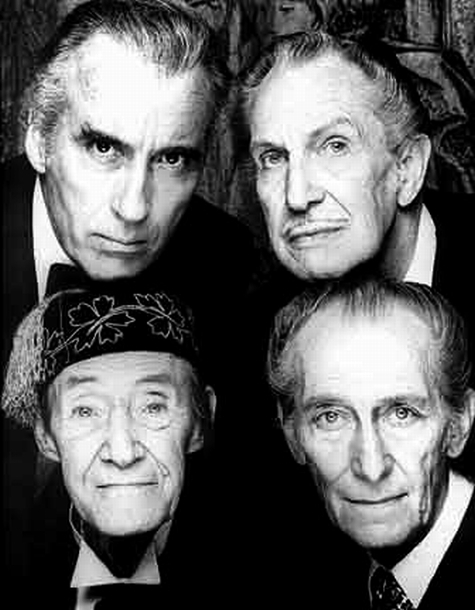 In the 1950s, he moved into horror films, with a role in "House of Wax" (1953), the first 3-D film to land in the year's top ten at the North American box office, then "The Mad Magician" (1954), and then the monster movie "The Fly" (1958) and its sequel "Return of the Fly" (1959). Price also starred in the original "House on Haunted Hill" (1959) as the eccentric millionaire Fredrick Loren. 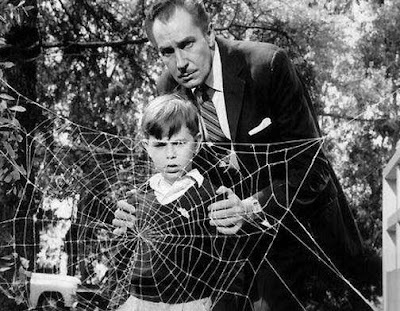 He played Dr. Warren Chapin, in "The Tingler", a 1959 horror-thriller film by the American producer and director William Castle. Price also appeared to great effect in the radio drama "Three Skeleton Key", the story of an island lighthouse besieged by an army of rats. He first performed the work in 1950 on "Escape" and returned to it in 1956 and 1958 for "Suspense". Outside of the horror genre, Price played Baka (the master builder) in "The Ten Commandments". In the 1955–1956 television season he appeared three times as Rabbi Gershom Seixos in the ABC anthology series, "Crossroads", a study of clergymen from different denominations. About this time he also appeared on NBC's "The Martha Raye Show". 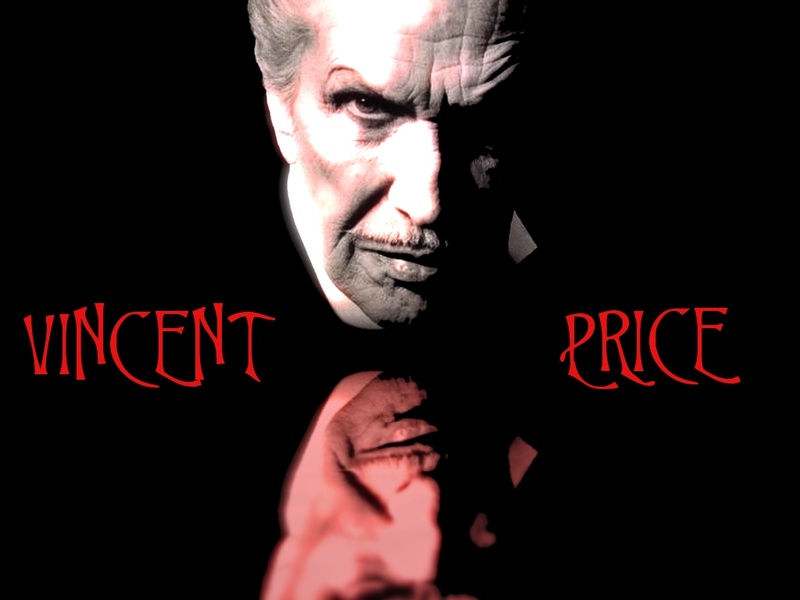 In the 1960s, Price had a number of low-budget successes with Roger Corman and American International Pictures (AIP) including the Edgar Allan Poe adaptations "House of Usher" (1960), "The Pit and the Pendulum" (1961), "Tales of Terror" (1962), "The Comedy of Terrors" (1963), "The Raven" (1963), "The Masque of the Red Death" (1964), and "The Tomb of Ligeia" (1965). He starred in "The Last Man on Earth" (1964), the first adaptation of the Richard Matheson novel "I Am Legend". In 1968 Price portrayed witchhunter Matthew Hopkins in "Witchfinder General" (released in the US as The Conqueror Worm). He starred in comedy films, notably "Dr. Goldfoot and the "Bikini Machine" (1965) and its sequel "Dr. Goldfoot and the Girl Bombs" (1966). In 1968 he played the part of an eccentric artist in the musical "Darling of the Day" opposite Patricia Routledge. Price often spoke of his pleasure at playing Egghead in the "Batman" television series. One of his co-stars, Yvonne Craig (Batgirl), said Price was her favorite villain in the series. In an often-repeated anecdote from the set of Batman, Price, after a take was printed, started throwing eggs at series stars Adam West and Burt Ward, and when asked to stop, replied, "With a full artillery? Not a chance! ", causing an eggfight to erupt on the soundstage. This incident is reenacted in the behind-the-scenes telefilm "Return to the Batcave: The Misadventures of Adam and Burt". In the 1960s, he began his role as a guest on the game show "Hollywood Squares", even becoming a semi-regular in the 1970s, including being one of the guest panelists on the finale in 1980. He was known for usually making fun of Rose Marie's age (even though she was a dozen years younger than Price), and using his famous voice to answer questions in a playfully menacing tone. During the early 1970s, Price hosted and starred in BBC Radio's horror and mystery series "The Price of Fear". Price accepted a cameo part in the Canadian children's television program "The Hilarious House of Frightenstein" (1971) in Hamilton, Ontario, on the local television station CHCH. In addition to the opening and closing monologues, his role in the show was to recite poems about the show's various characters, sometimes wearing a cloak or other costumes. He appeared in "The Abominable Dr. Phibes" (1971), its sequel "Dr. Phibes Rises Again" (1972), and "Theatre of Blood" (1973). That same year Price appeared as himself in "Mooch Goes to Hollywood", a film written by Jim Backus. Price recorded dramatic readings of Edgar Allan Poe's short stories and poems, which were collected together with readings by Basil Rathbone. Price greatly reduced his film work from around 1975, as horror itself suffered a slump, and increased his narrative and voice work, as well as advertising "Milton Bradley's Shrunken Head Apple Sculpture". Price's voiceover is heard on Alice Cooper's first solo album, "Welcome to My Nightmare" from 1975, and he also appeared in the corresponding TV special "Alice Cooper: The Nightmare". He starred for a year in the early 1970s in a syndicated daily radio program, "Tales of the Unexplained". He made guest appearances in a 1970 episode of "Here's Lucy" showcasing his art expertise and in a 1972 episode of ABC's "The Brady Bunch", in which he played a deranged archaeologist. In October 1976, Price appeared as the featured guest in an episode of "The Muppet Show". In the summer of 1977, Price began performing as Oscar Wilde in the one-man stage play "Diversions and Delights". Written by John Gay and directed by Joe Hardy, the play is set in a Parisian theatre on a night about one year before Wilde's death. The original tour of the play was a success in every city that it played, except for New York City. In the summer of 1979, Price performed it at the Tabor Opera House in Leadville, Colorado, on the same stage from which Wilde had spoken to miners about art some 96 years before. Price would eventually perform the play worldwide. In her biography of her father, Victoria Price stated that several members of Price's family and friends thought that this was the best acting that he ever performed. In the spring of 1979, Price starred with his wife Coral Browne in the short-lived CBS TV series "Time Express". 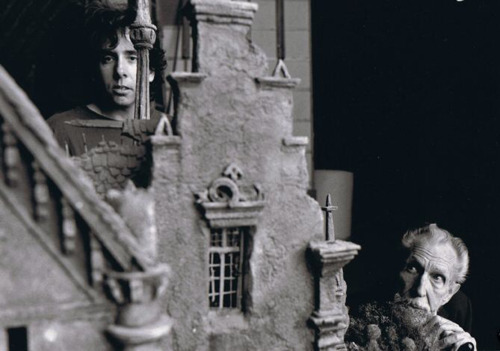 In 1982, Price provided the narrator's voice in "Vincent", Tim Burton's six-minute film about a young boy who flashes from reality into a fantasy where he is Vincent Price. That same year, he performed a sinister monologue on the title track of Michael Jackson's "Thriller" album. Price appeared as Sir Despard Murgatroyd in a 1982 television production of "Gilbert & Sullivan's Ruddigore" (with Keith Michell as Robin Oakapple). In 1983 Price played the Sinister Man in the British spoof horror film "Bloodbath at the House of Death" starring Kenny Everett, and he also appeared in the film "House of the Long Shadows", which teamed him with Christopher Lee, Peter Cushing, and John Carradine. While Price had worked with each one of them at least once in the prior decade, this was the first teaming of all of them together. One of his last major roles, and one of his favorites, was as the voice of Professor Ratigan in Walt Disney Pictures' "The Great Mouse Detective" in 1986. From 1981 to 1989, he hosted the PBS television series "Mystery!" In 1985, he provided voice talent on the Hanna-Barbera series "The 13 Ghosts of Scooby-Doo" as the mysterious Vincent Van Ghoul, who aided Scooby-Doo, Scrappy-Doo, and the gang in recapturing 13 evil demons. During this time (1985–1989), he appeared in horror-themed commercials for Tilex bathroom cleanser. In 1984, Price appeared in Shelley Duvall's live-action series Faerie Tale Theatre as the Mirror in "Snow White and the Seven Dwarfs", and the narrator for "The Boy Who Left Home to Find Out About the Shivers". In 1987, he starred with Bette Davis, Lillian Gish, and Ann Sothern in "The Whales of August", a story of two sisters living in Maine, facing the end of their days. In 1989, Price was inducted into the St. Louis Walk of Fame. 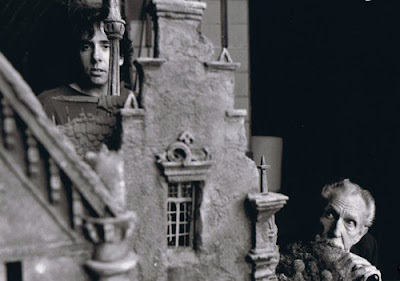 His last significant film work was as the inventor in Tim Burton's "Edward Scissorhands" (1990). A witty raconteur, Price was a frequent guest on The Tonight Show Starring Johnny Carson, where he once demonstrated how to poach a fish in a dishwasher. Price was a noted gourmet cook and art collector. He also authored several cookbooks and hosted a cookery TV show, "Cooking Pricewise". From 1962 to 1971, Sears-Roebuck offered the "Vincent Price Collection of Fine Art", selling about 50,000 pieces of fine art to the general public. Price selected and commissioned works for the collection, including works by Rembrandt, Pablo Picasso, Salvador Dalí, and Nate Dunn. 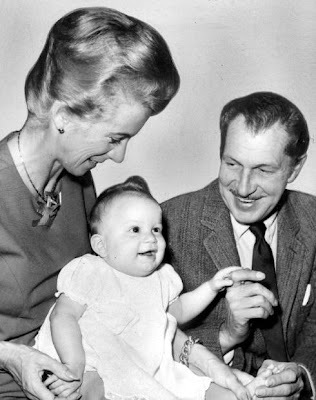 Price was married three times and fathered a son, Vincent Barrett Price, with his first wife, former actress Edith Barrett. Price and his second wife, Mary Grant Price, donated hundreds of works of art and a large amount of money to East Los Angeles College in the early 1960s in order to endow the Vincent and Mary Price Gallery there. The Vincent Price Art Museum was built to house art works and present exhibits. Their daughter, Mary Victoria Price, was born in 1962. Price's last marriage was to the Australian actress Coral Browne, who appeared with him (as one of his victims) in "Theatre of Blood" (1973). He converted to Catholicism to marry her, and she became a U.S. citizen for him. One example of his outspoken political action came when he concluded an episode of The Saint titled "Author of Murder", which aired on NBC Radio on July 30, 1950. While concluding the episode, Price denounced racial and religious prejudice as a form of poison and stated that Americans must actively fight against it because racial and religious prejudice within the United States fuels support for the nation's enemies. Price was later appointed to the Indian Arts and Crafts Board under the Eisenhower Administration and he called the appointment "kind of a surprise since I am a Democrat." Price was a lifelong smoker. 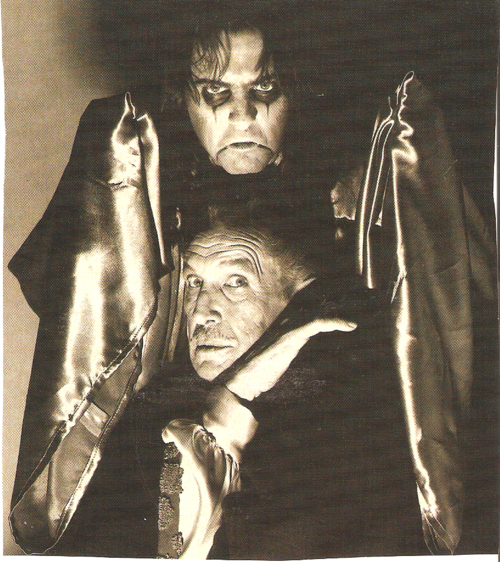 He suffered from emphysema and Parkinson's disease; his symptoms were especially severe during the filming of "Edward Scissorhands", making it necessary to cut his filming schedule short. His illness also contributed to his retirement from "Mystery! ", as his condition was becoming noticeable on-screen. He died of lung cancer on October 25, 1993, at UCLA Medical Center at the age of 82. He was cremated and his ashes scattered off Point Dume in Malibu, California.